This Art Hand Model is very similar to what would have been used way back then. 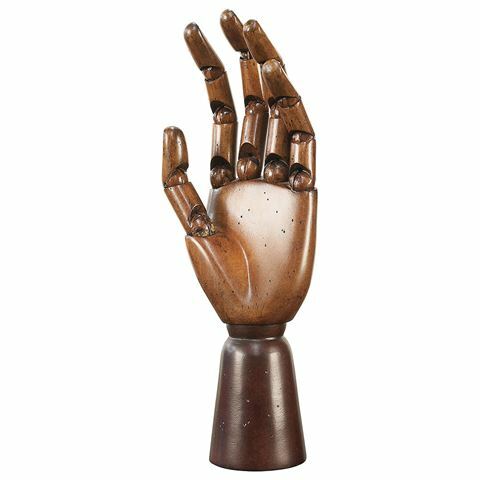 With its wooden ball-jointed fingers that could be positioned in various ways, it would have been used when a live model was not available. Perfect for modern artists as well, this Art Hand Model is an ode to the artisans of the past. Ball-jointed fingers and wrist that can be positioned as a reference point for artists.